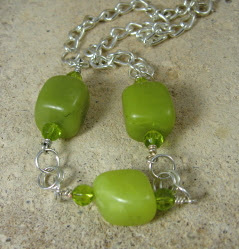 Short-style chunky green agate necklace on a thicker chain. 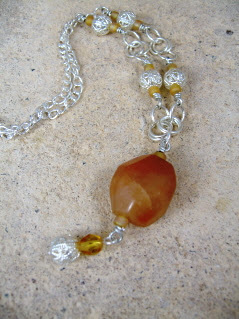 I've gotten a hole of some pretty agate stones and decided to make some necklaces and bracelets. They're posted in my Etsy Shop. These stones were just a pretty mix, so these are one of a kind. Once they're gone, they're gone. 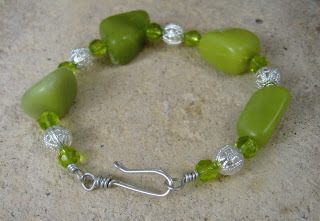 I can get similar stones, but each piece will be a bit different! !